InteGreat™ A/V table boxes are an elegant solution for extending power, communication and A/V to the meeting presenter's point-of-use. 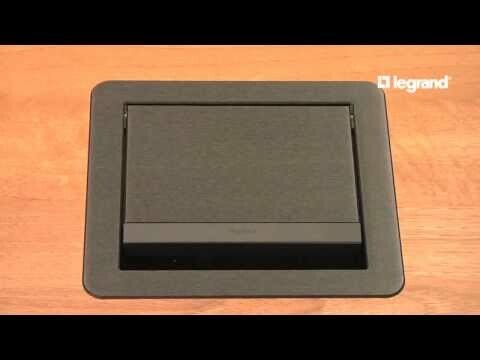 InteGreat™ A/V table boxes provide the depth to mount devices, especially A/V devices, below the table top. It has attractive finishes that can match any room decor. Combine it with other InteGreat™ products for a comprehensive solution to managing and delivering power, communication and A/V connectivity for conference rooms. This cord-ended unit comes with a 12 ft. SJT cord set to easily plug into the nearest receptacle. Now available with two USB A charging ports.